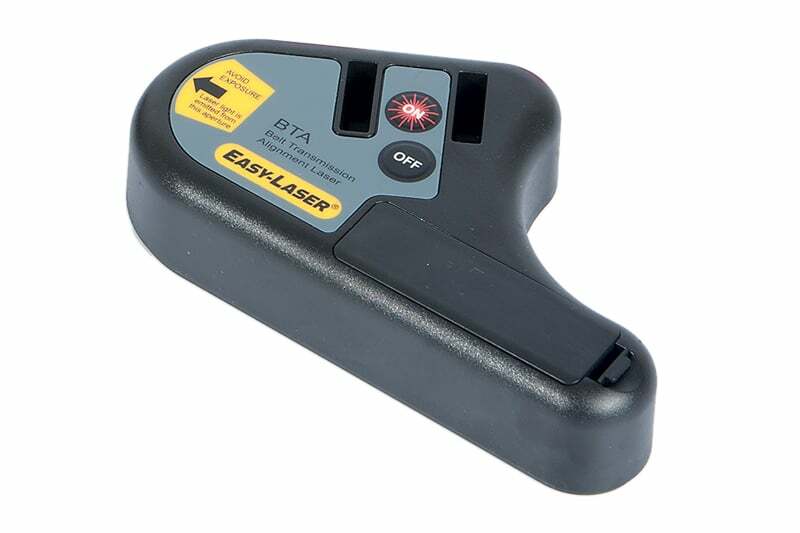 Easy Laser E180 is a simple to use laser alignment solution. The Easy Laser E180 is highly accurate, allowing you to align your machinery to the prescribed tolerances and rely on the results. 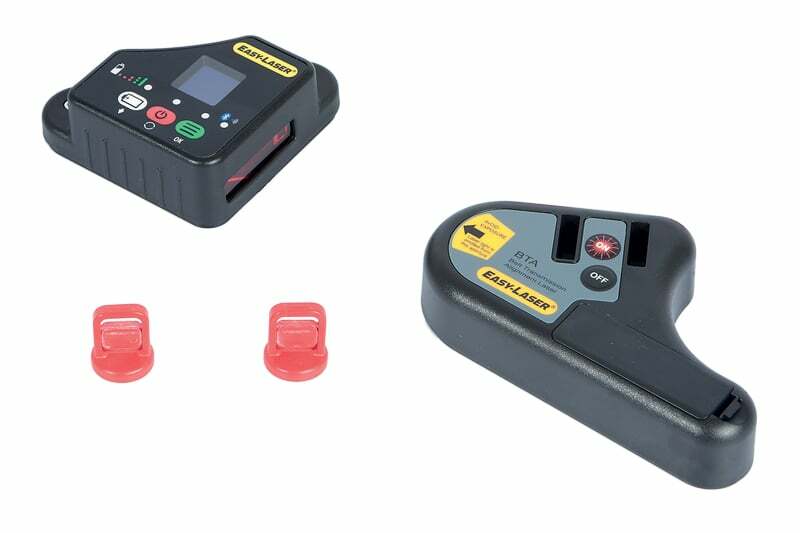 In just a few seconds the laser transmitter attaches to one of the sheaves and the detector attaches to the other with a basic magnetic mounting system. The transmitter creates a laser plane exactly parallel to the reference sheave and the detector then reads the relative position, providing a live digital readout of angular and offset value. A separate display unit allows even easier machine adjustment, letting you follow the parameters while you make precise adjustments wherever they’re needed. Accurate machine alignment with the Easy Laser E180 reduces wear on belts, pulleys, sheaves, seals and bearings and reduces machine vibration. Transmissions with more than one belt or large, wide belts are particularly affected by misalignment problems with significant differences in belt tensions and increased wear. Effective alignment means efficient operation. You’ll save time and money by avoiding costly machine repairs and also save on energy use. Contact us to find out more about the Easy Laser E180 or any of our other measurement and alignment equipment, or request a quote online.